Also see table below for combos. 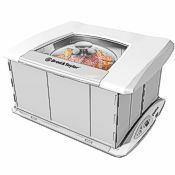 The Country Living Grain Mill is a premium quality, high capacity hand operated mill that can easily be adapted to powered operation because its flywheel doubles as a V-belt pulley. 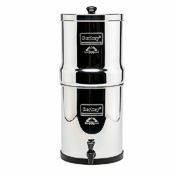 The frame of the Country Living Grain Mill is strong cast metal alloy with a super durable powder coat finish. It's a very nice mill to use and a handsome piece of equipment with clean, functional lines and beautiful raised wheat heads on the side panels. A motorizing option is available, or you may want to build a motor drive of your own design. Some owners have also adapted their Country Living Mills to be driven off an exercise bike. 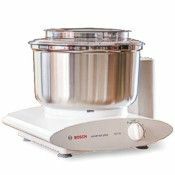 The motorizing kit uses a commercial grade gearmotor, and this option can always be added to your mill later, if you choose. 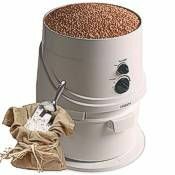 The Country Living Grain Mill represents the ultimate in strength and durability, and the fit and finish are outstanding. The handle is hardwood, 7" long, and shaped to fit the hand comfortably. The mill has double sealed industrial ball bearings that are widely spaced to prevent wobble and minimize wear. Even with regular use, the Country Living Grain Mill will still be providing trouble-free service in your great-grandchildren's day. No hand crank mill is easier to clean than the Country Living Mill. Just spin off the adjustment knob, and the outer grinding plate slides off for total access to the grinding area of the mill. You can brush the flour off the plates and reassemble again in one minute. 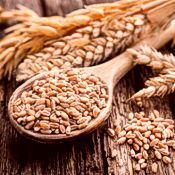 The Country Living Grain Mill grinds hard wheat, oat groats (dehulled oats), rice, triticale, kamut, spelt, dent (field) corn, dried sweet corn, popcorn, split peas, buckwheat, barley, rye, millet, teff, quinoa, amaranth, sorghum, dry beans, lentils, chopped chestnuts and soybeans. (Big kernels like field corn require the optional large auger.) Herbs can be ground in small amounts. 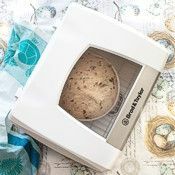 It will also crack grain to any size; you can set the adjustment knob to any consistency from extremely fine flour to meal to cereal grind or cracked grain. 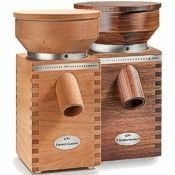 The mill stands 13.5" tall and measures 12" wide & 10" deep, excluding handle. Weight 17.7 lbs. Flywheel diameter 12-1/4". 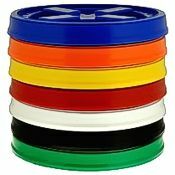 The hopper capacity is 4.5 cups. Optional equipment is available, including a hand crank extension, corn/bean auger, table clamp, hopper extension, motorizing kit, and more. 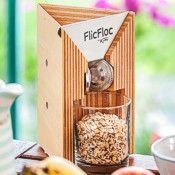 The mill can be bought separately, or in combo with accessories. Country Living Grain Mills normally receive a final factory test with wheat. If you have a wheat restriction, just let us know and we can provide a mill that's had no contact with wheat. Pleasant Hill Grain is the world's largest seller of the Country Living Grain Mill. Our experience spans the milling spectrum from small home-use grinders to large commercial machines. We're committed to serving your needs before and after the sale, and we would appreciate your business! To see individual accessories, click the links in this table for the power bar, large auger, etc. Yellow-highlighted accessories come in the wooden parts case. Combos below include the products with a green checkmark. 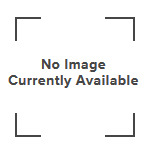 Please order at the top of this page. 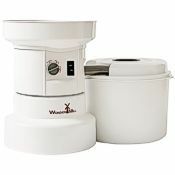 The Country Living Grain Mill is a well built piece of equipment. 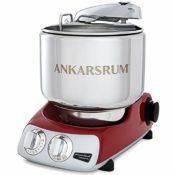 The design and size fills the gap between cheaper smaller hand crank units and smaller commercial units. The price is reasonable. I recommend getting the Parts Kit and Power Bar handle extension. For extended hand cranking, the Power Bar extension is necessary. Hand cranking isn't overwhelming if grinding for two, but at times I do wish the unit was motorized. 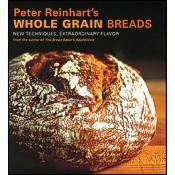 I do have future plans to motorize as we rely more on more on naturally ground whole grain. However, the this mill is always available even without electric power. We rate it highly, it's built to last. I love how easy it is to use. It is a little slower than my old mill, but I love the ability to choose from a wider variety of textures. The flour makes wonderful bread!!! Works well for our needs! 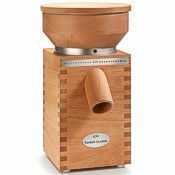 This grain mill is an excellent, dependable and durable piece of equipment. I motorized mine and have run 250 pounds of grain thru it and it consistently grinds the grain to a very fine flour. 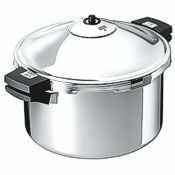 Wonderful product, I am very pleased. If you know anything about metal fatigue when it constantly flexes you will know that the lesser mills will be subject to it. All of the other mills I tested and have will fail. This Country Living grain mill is built very robustly and will hold up likely for the duration. I would suggest getting the motor too. It will allow you to do other things with your time. Does what is says. great tool. Arrived in good condition, a very well built grinder. The hand crank is a lot of work so I would suggest buying the motor for it. The adjustment grinds to super fine. This mill works great. Easy to set up. Easy to use. Does what it's supposed to. 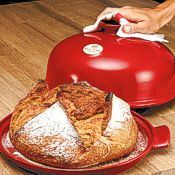 Can't say much more than that, except that if you plan on using it to grind A LOT of grain, you'll want to add a motor and a belt, which doesn't look too complicated. Well built, love the electric motor option. Well built piece of machinery. 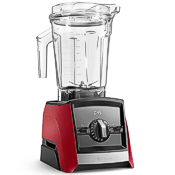 Handles wheat berries and grinds to whatever fineness you have set. I expect this to last the rest of my life and probably that of my children.